Norlex was founded in 2011 under the name Copenhagen Chemicals ApS by two entrepreneurial engineers: Christian Kemp and Jens Husted Kjær. Since then, the company has grown organically and through acquisitions. In 2016 Bo Jensen Vandbehandling A/S, a company founded in 1982, was acquired together with the Swedish company ScanSep AB. 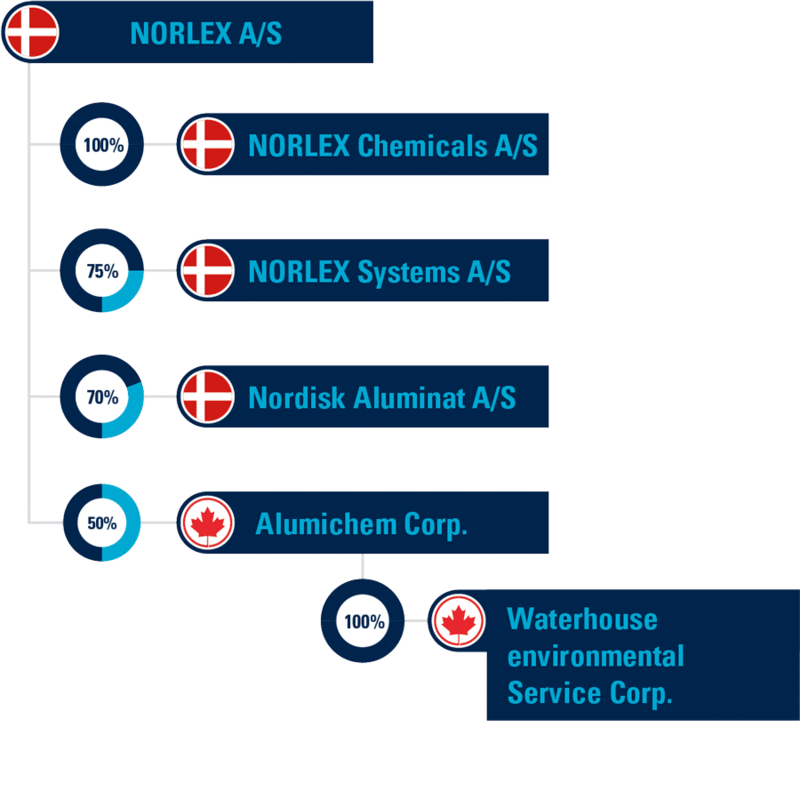 In 2015, Norlex formed a 50%-controlled joint venture, Alumichem Corporation, which owns 100% of Nordisk Aluminat A/S (www.aluminat.com) and Waterhouse Environmental Services Corp.(www.waterhousechemicals.com). Nordisk Aluminat A/S is a leading Nordic producer of functional aluminates used in water treatment processes. Waterhouse is a Vancouver-based company, which is a market leader in the supply of flocculants and coagulants to municipalities and industries in Oregon, Washington, British Columbia and Alaska. Norlex is a strong merger of the Danish companies Copenhagen Chemicals and Bo Jensen Vandbehandling (water treatment) and the Swedish company ScanSep, who are all well known within the industry. Norlex was founded to address future water treatment requirements through development, innovation and specialisation, thereby retaining a leading position in the market.